Liverpool2, one of the worlds’s most advanced shipping terminals, officially opened on Friday 4th November at the Port of Liverpool. The project has been funded by ‘Peel Ports’, one of the biggest port operators within the United Kingdom and will have easy access through road, rail and canal connections to the mainland of the UK. It’s estimated that the terminal will be serving a catchment of 35 million people, 58% of the entire United Kingdom population. The port of Liverpool already has a significant terminal in the way of Royal Seaforth Container Terminal; each terminal is expected to cater for 1 million containers per year. The Port is already the country’s biggest transatlantic port (45% market share) and the only major container port in the north or west of the UK. The recent arrival of ‘mega’ ocean-going container ships into the global shipping market has been one of the biggest influences for the port expansion. 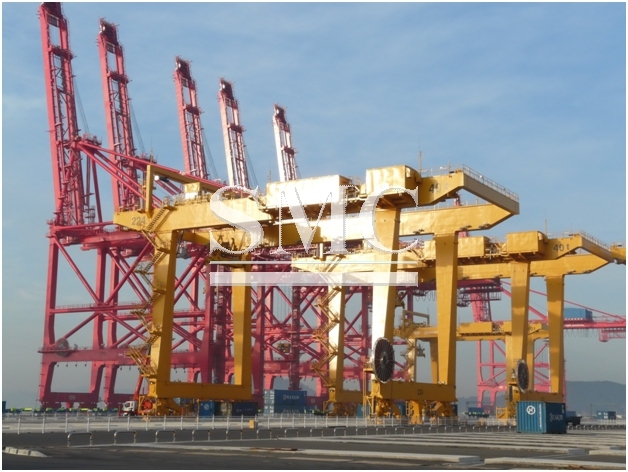 The project was one of the biggest private investment projects in the country and it will now enable the port to accommodate the world’s largest vessels. Mark Whitworth, CEO of Peel Ports said: “Today marks the beginning of a new era for the Port of Liverpool. Our investment will help global shippers to transport cargo more efficiently to their end destination with lower costs, congestion and carbon emissions. Liverpool is in the right location, providing state-of-the art facilities and technology, and offers a real competitive advantage with a shorter supply chain and providing an all-water route right to the heart of the UK via the Manchester Ship Canal. The port currently attains an 8% market share of the countries container market, this figure is expected to at least double. Indirectly and directly, this job is predicted to generate 5’000 jobs for the British economy. Secretary of State for International Trade Liam Fox said: “Exporting is vital to the economic health of our nation. This investment at Liverpool2 will boost crucial cargo capacity, create local jobs and is yet another sign that the UK is open for business with the world.